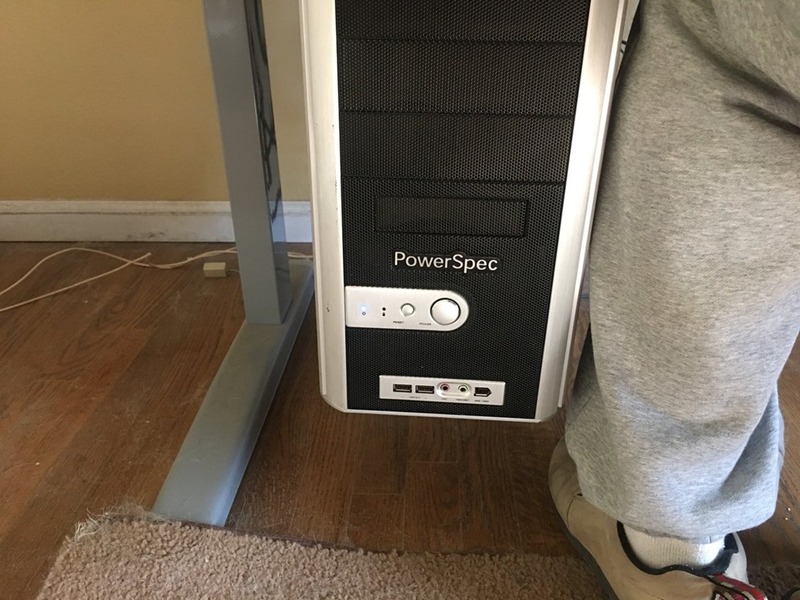 My standing desk was down and as you can see, the power button for my machine is on the front, just above ankle level. In a few years of working, this hasn’t been an issue. However, my daughter has a puppy this year, and while she’s in school, the dog is home. Normally my wife is outside with the dog, but when bad weather strikes, they are inside. The dog can be a bit trying at times, and in this case, she comes to sit near my chair, looking for attention. When she did that last month, she leaned on the power button and shut Windows down. Not so bad, but the third time this happened, as I was prepping for a webinar 30 minutes ahead, I had a little panic. I got it home and promptly traveled for a few weeks. No real time to do much, but I did eventually get ready to move all the pieces and parts. I put the old and new cases on the table and started moving things. My middle son helped, and eventually we had the parts transferred. And nothing happened. No boot up, no fans, nothing. 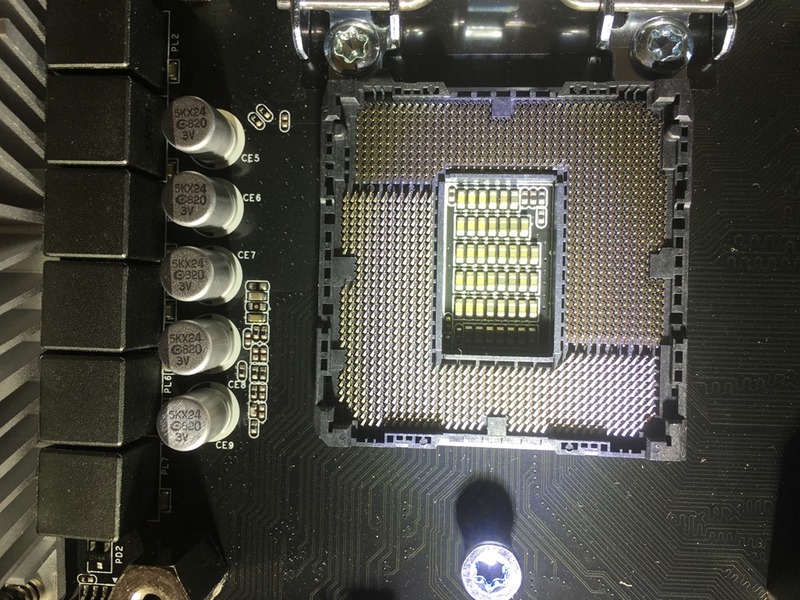 We looked and found quite a bit of thermal paste on the CPU, some of which leaked on the side. A good lesson for me, don’t use much paste. However, we we cleaned things, we ended up bending some CPU pins. No worries, annoying, but I could afford a new motherboard, so I grabbed one. And then went out of town again. When I got back, I replaced the motherboard, but no booting still. I even took a picture and tried to be sure the CPU slot was OK. I had to, since I couldn’t see the pins. I even got another CPU and tried that, but it didn’t boot. At this point, I dragged things over to Glenn (he’s close by) and we decided the motherboard must be bad. I returned the CPU and got another new motherboard, which I installed last weekend, and everything worked. From the go, things booted. I added a new SSD in the process, and somehow had to remap some drives to different letters to get my Windows install working. I have some other minor issues, VMs that thought they’d been moved, Windows Search service acting up, and general funkiness with new hardware, but it seems things have settled. 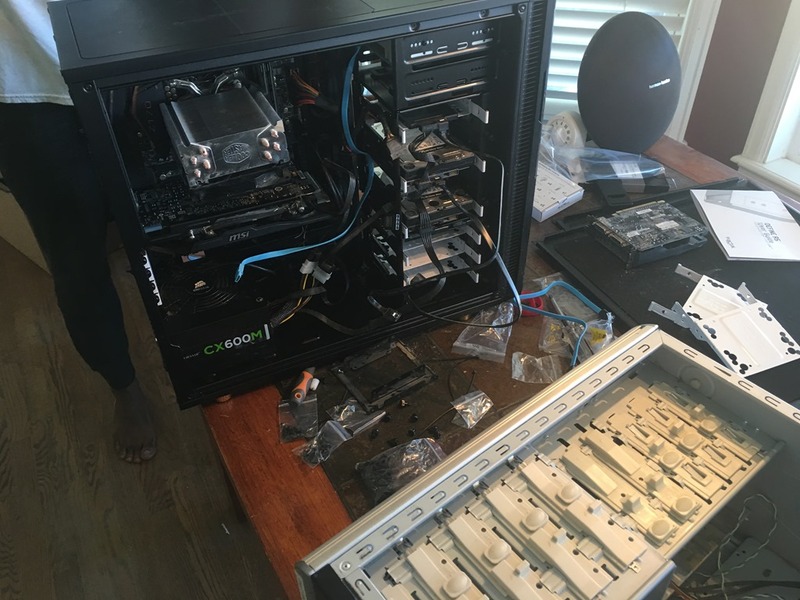 I’m not a big hardware guy, but it was interesting to take apart and put together a computer. I rarely do that, and while it’s a touch exciting, it’s also a pain. I prefer my hardware to just work. 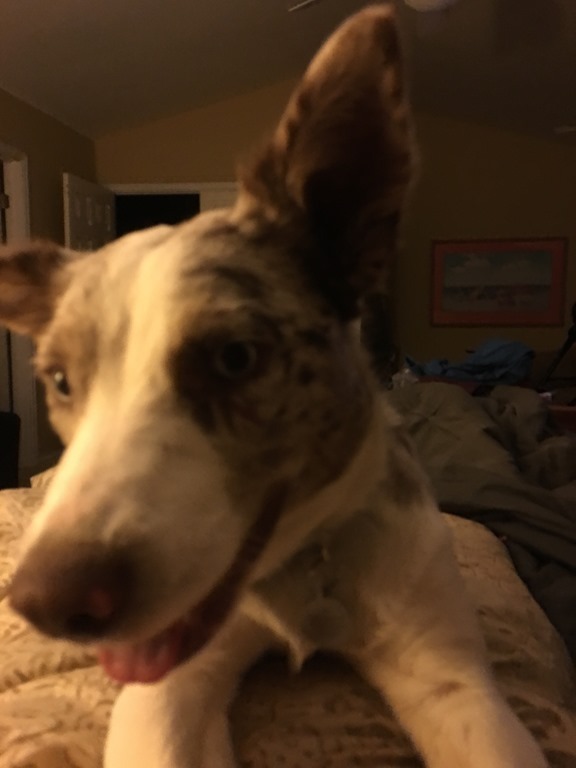 The puppy is cute, and she’s fun, but demanding at times. Here’s my view of the TV, trying to finish up Stranger Things one night. Until the past 5 years, I always built my computers from scratch. It was cheaper that way. Not anymore. Since my career has had me working on both sides of the fence (both software and hardware) I am very comfortable with doing that. Even so murphy’s law comes into play when building from scratch things ☺.